Though the exact content of the discussions are unknown since it happened in closed session, but councillor James Hanna told The Link there has been “very obvious” tension between executives and some councillors that has developed over the summer. Internal Affairs Coordinator Princess Somefun has recently boycotted the meetings out of “problematic and prejudicial behaviour” she said she sees in council. “If I were to speak on why, as an executive, I have poor relations with councillors it’s due to blatant sexist and racist behaviour that further marginalizes groups that are already marginalized in the CSU,” she said. Somefun said behaviours of marginalization from councillors have manifested in looks, voting practices and ignoring women when they speak. Councillor Rowan Gaudet told The Link plans originally brought up by women usually get ignored until he brings them up–or they get misattributed to him. Gaudet also said he’s witnessed several instances of men rolling their eyes when women speak, which he sees as a microaggression. Councillor Margot Berner said that “there is also a clear tendency that only the masculine-presenting executive is listened to respectfully and his expert advice is understood to be just that, that he’s an expert,” but that feminine-presenting people are always questioned or belittled. She described feeling unwelcome in council and said people have taken credit for work her work, spoken over her, ignored her and often roll their eyes at her. But Hanna said he feels he hasn’t been listened to in council either. “We need to admit we have a problem at CSU and it’s something no one in the CSU wants to do,” said Somefun. Throughout committee appointments General Coordinator Sophie Hough-Martin repeatedly reminded councillors that gender parity and racial diversity on committees was “very very important,” especially considering the CSU’s position on prioritizing the voices of women and people of colour. CSU councillors were appointed to committees throughout votes in May. Most are white, such as Berner, Patrick Quinn, Alex Karasick, and Rory Blaisdell. These votes in council meetings also coincided with Ramadan, which ran from May 16 to June 14. Berner said the committees don’t accurately represent how many women and people of colour sit on council. When the committees failed to show diversity, executives began asking councillors over the summer to step down from some committees to make space for more diversity. Gaudet said afterwards a group of friends on council organized themselves and voted for each other in blocks to make sure they could remain on the most “powerful committees,” such as policy and finance. But others say the push from the executive team to make people step down overrides a fair voting process. Gaudet said that no specific people are being targeted, but rather that people who are taking up multiple seats on committees are being asked to make more space. “The fact that those mostly white dudes are representing them are not making space for those who actually represent the students is not what is supposed to be happening in a student democracy,” Gaudet said. Somefun said that when executives call out problematic behaviour they’re simply doing their job. 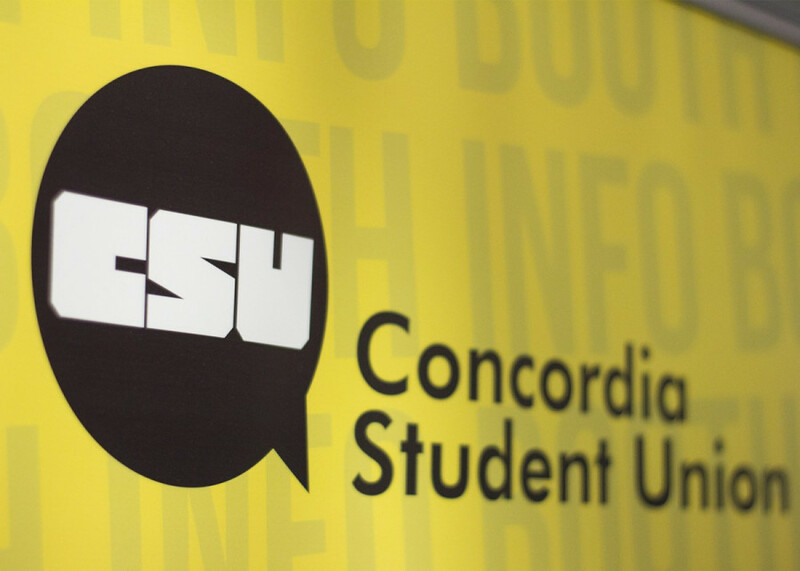 “The executive is supposed to promote things like gender parity and making sure folks from racialized groups get into certain important committees,” she said, which includes the appointments committee, that assigns students to Concordia’s senate and board of governors. Berner said the CSU is working on a code of conduct for council. She said she also thinks there should be clear-cut repercussions for those not following the union’s positions.